Jusuf Antono Djojo or Ian Antono (Born: Jauw Hian Ling ) (born October 29, 1950 in Malang, Indonesia) is an Indonesian guitarist and songwriter. He has collaborated with many other musicians, including Anggun,Iwan Fals, Nicky Astria, Doel Sumbang, Gito Rollies, Ebiet G Ade and Ikang Fawzi, he is best known as God Bless' lead guitarist since 1974. Other notable collaboration was Gong 2000, which was established in 1991 until 1996. 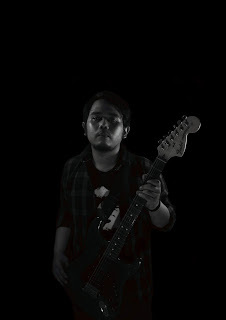 Ian Antono was also recognized as one of the very first rock guitarists in Indonesia. In 1999, Ian Antono was invited in a Formula-1 event, which was also a collaboration with G3 (Joe Satriani and Steve Vai) and rock legends, Jethro Tull. Ian Antono was born in Malang, East Java, Indonesia to Darmo Poesoko Djojo (Jauw Thwan Too) & Siti Marijani (Sie Tien Nio) of Chinese-Indonesian Origin. Originally, he was interested in drumming and began to learn to play drums since his earlier years. However, later when he started to listen to The Shadows's music, he changed his mind and began to learn to play guitar. In 1970, Ian Antono went to Jakarta and joined a band called Bentoel which was a session band for singer Emilia Contessa and Trio The King. Later, his popularity was increased while he gained many experiences that made him join his present band, God Bless.He lived his life mostly as a balinese musician performing balinese orchestral music. The first step into professional music career was when he joined a legendary Indonesian band called God Bless with Achmad Albar, Donny Fattah, Yockie Suryoprayogo and Teddy Sujaya. With Ian, God Bless released Huma Di Atas Bukit (1975), Cermin (1980) and Semut Hitam (1989)and thanks to these albums, Ian's popularity jumped through the roof because at that time, rock music had not become an atmosphere in Indonesian music. 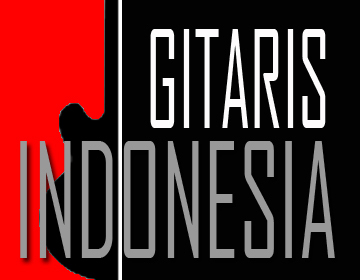 So while God Bless pioneered rock music in Indonesia, Ian Antono lead the way into a new rock guitarist world. However, soon after God Bless'last album in 1989, Ian Antono decided to form a band called Gong 2000 and released three albums, Timur (1991), Laskar (1994) and Prahara (1996). His style of playing in Gong 2000 was different compared to when he was with God Bless. With Gong 2000, Ian tried to include Balinese music into most of his songs. This was followed by including at least 20 Balinese Dancers in his performances. Later, Ian decided work together again with God Bless in 1997 with another Indonesian guitarist, Eet Sjahranie. This concept of duo guitarists grabbed media and listeners' attention although the album "Apa Kabar?" was not a commercial success. Other than becoming a lead guitarist for God Bless and Gong 2000, Ian has also written songs for numerous other singers. Some of them are notable Indonesian artistes, including but not limited to, Iwan Fals, Anggun, Nicky Astria, Doel Sumbang, Gito Rollies, and Ikang Fawzi. Moreover, many songs that he has arranged for other musicians have become some of the most popular songs of their time, like Zakia and Panggung Sandiwara.